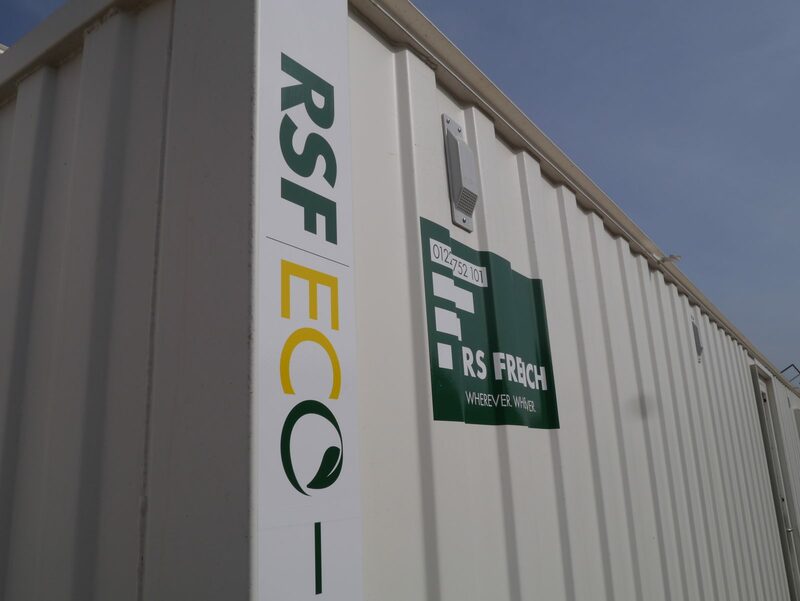 Having been in the business of hiring site welfare facilities for over 30 years, RS French would certainly class themselves as knowledgeable when it comes to demands on site and ensuring all needs are met in a reliable and cost effective manner. RS French have always prided themselves on the standard of equipment on their fleet and ensuing delivery vehicles and crane capabilities were 2nd to none. With over 1300 units out on hire a real need was identified to make these as economical as possible to run not only to do our bit for the environment but to also ensure costs are kept low for the operators. 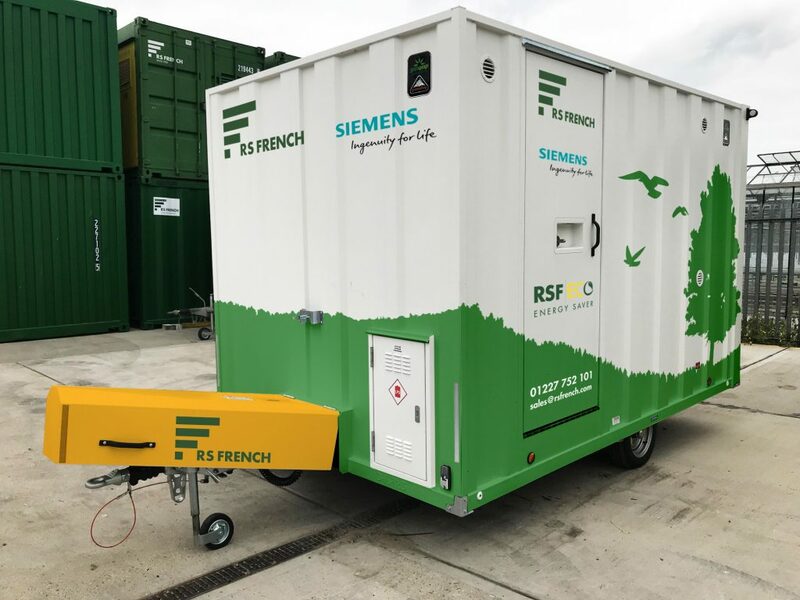 With this in mind RS French is now in the process of converting all standard offices, meeting rooms, canteens, drying rooms and toilet blocks to their new ECO standard which will include LED lighting, Non-Concussive taps, timed and thermostatically controlled heaters and double glazed windows. All of this will come at no additional cost to the customer and we will not stop until the entire fleet meets the new ECO standard. Having secured a LOCASE (low carbon across the South East) grant earlier in the year this will enable us to speed up the transition and ensure all unit refurbishments and new builds are finished to the same specification. We feel that by reducing energy consumption on site in this manner we will not only be contributing to a cleaner environment but showing further commitment as a member of the Considerate Constructors Supplier Scheme. board with their commitment and be part of such an exciting initiative within the Siemens corporation. We are unable to go into full details at this stage but trust us when we say that you will want to look out for future updates as we develop what will be a market leading ECO welfare solution. Martin Gregson, Environmental Manager Siemens Rail Electrification.